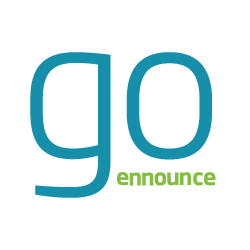 Naples, FL, March 14, 2017	(Newswire.com) - ​​​​​​​​​​​​​​​​​​​​​​​​​​​​GoEnnounce, the new social platform where students build e-portfolios highlighting achievements, has expanded into 20 states nationwide. Since it’s launch to schools in July 2016, GoEnnounce’s popularity is spreading quickly, in part, because of its social media training curriculum used by educators to implement the course. As social media use continues to rise amongst teens and pre-teens, kids post things on the internet and may not realize that it can stay there permanently, sometimes having a very negative effect. BBC reports how 78% of children under 13 are already using at least 1 social media channel despite being under the legal age. 1 The earlier kids are trained in appropriate, responsible behavior regarding technology use, the better. As students share achievements in their own voice, GoEnnounce imparts important digital literacy lessons on how powerful digital communication across social media channels can be. The platform also fulfills districts’ accountability needs to record graduation requirements, as a student-centric e-portfolio that allows students to track their unique participation in activities such as community service, clubs & athletics. A Digital Arts Teacher in Tennessee, Tim Wood, brought in GoEnnounce to Columbia Central High School after learning about it at a Career-Technical seminar in the summer of 2016. “The portfolios fulfill a state curriculum requirement and give the students a fun way to showcase themselves and their accomplishments,” Wood said. He describes the web portfolios as having an interface and profile like Facebook or LinkedIn, but operating much differently and being very safe and secure. GoEnnounce began to fulfill a need for schools to offer this type of software service to students. Software Industry veteran Arthur Allen, CEO of ALA Services Technology Companies made a significant investment in GoEnnounce in July of 2016. This has fueled the company’s growth by increasing the sales and marketing reach nationally and recently internationally. “I saw immediate potential for GoEnnounce to fulfill a need that is not being met in the market currently. It’s a wonderful tool for educating kids in the safe use of social media, while showcasing their accomplishments to potential colleges and employers.” – Arthur Allen, CEO, ALA Services Technology Companies. 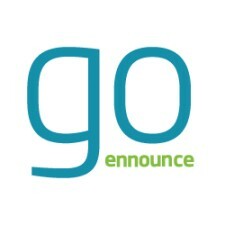 About GoEnnounce: GoEnnounce is a student-centric, social media based, e-portfolio for middle & high school students. The portfolio solution fulfills districts’ accountability needs to track graduation requirements, while empowering students to build their personal brand as they track & share unique participation in activities such as community service, clubs & athletics. GoEnnounce is implemented in middle schools & high schools via a digital citizenship curriculum where students practice lessons on safe and positive internet use. The courses offered cover everything from digital literacy to digital copyright to commerce and cyberbullying. GoEnnounce addresses social media issues in schools by changing the conversation to encourage positive social media behavior. The foundation of ALA Services Technology Companies is built on the experience of software industry veteran Arthur L. Allen and his longstanding team of financial, software and legal professionals.